QuantLibXL is an interesting projects that plugs [some of] QuantLib power directly into your Excel. A big advantage of QuantLibAddin that the binaries (.xll file) can be downloaded in launched with a couple of clicks. This is quite different from QuantLib itself, whose compilation is alone a non-trivial action. However, QuantLibXL makes easier getting started with QuantLib only in the sense of installation. The documentation is deficient and in order to apply virtually any non-toy business logic one has to understand the QuantLib concepts (e.g. the rateHelpers to fit a yieldTermStructure). Those, who are impatient to start applying QuantLib power are recommended to try the Deriscope. 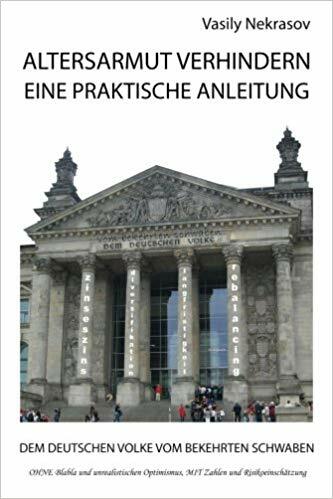 However, there are enough advanced readers that might be interested in working close to QuantLib core (source code) and simultaneously have a convenient frond-end (Excel). Then - unless they are going to blindly trust QuantLibXL calculation results - they have to build it from source and be able to debug it. Then, according to instruction, you need to unpack the archives to C:\build_ql_1_9_0\. Do not forget to remove the version from QuantLib directory name, so it should be QuantLib (not QuantLib-1.9). Curiously, according to the manual one needs log4cxx 0.10.0f7 repository but in there is a version log4cxx-0.10.0f6 (that makes though no difference). You also need have Python v2.x installed (v2.x will sustain for a long time, at the recent QuantLib User Meeting Luigi said there is currently no plan to migrate to Python 3). Further you might need to (re-)build the boost libraries. Since I already had a boost folder from QuantLib installation it was enough for me to run b2 --build-type=complete stage making sure that --static libraries will be compiled too; I actually needed libboost_serialization-vc141-mt-s-1_65_1.lib. 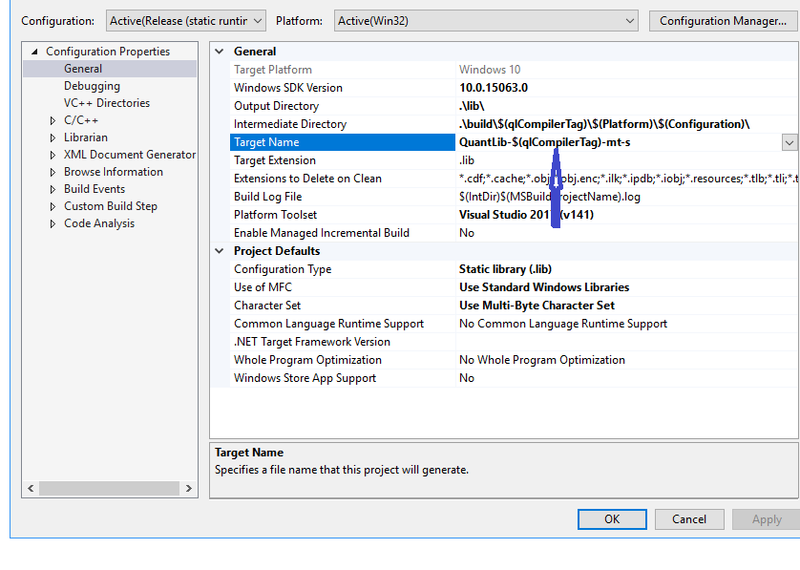 Then in Visual Studio open QuantLibXL_full_vc12.sln. The latest version of VS known to QuantLibXL is 2013, so you need to upgrade the targets. 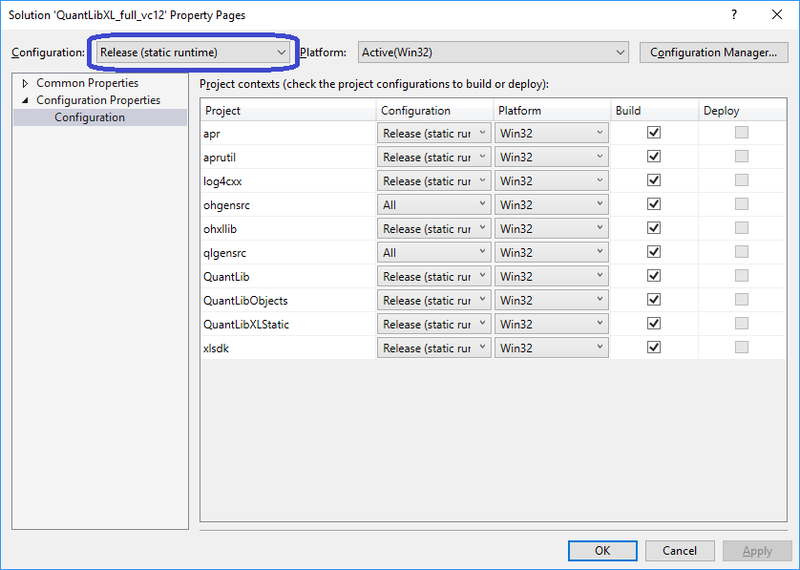 Set the configuration to Release (static runtime). (you may of course to change it later to Debug static runtime but then you need to set the boost paths again, see the next step). Then set the path to boost libraries by QuantLib, QuantLibObjects and ohxllib projects. Further as you try to build the solution, you will get several times the following problem in auto_link.hpp files: QuantLibXL\build_ql_1_9_0\ObjectHandler\xlsdk/auto_link.hpp(37): fatal error C1189: #error: unknown Microsoft compiler (compiling source file ..\repositoryxl.cpp). 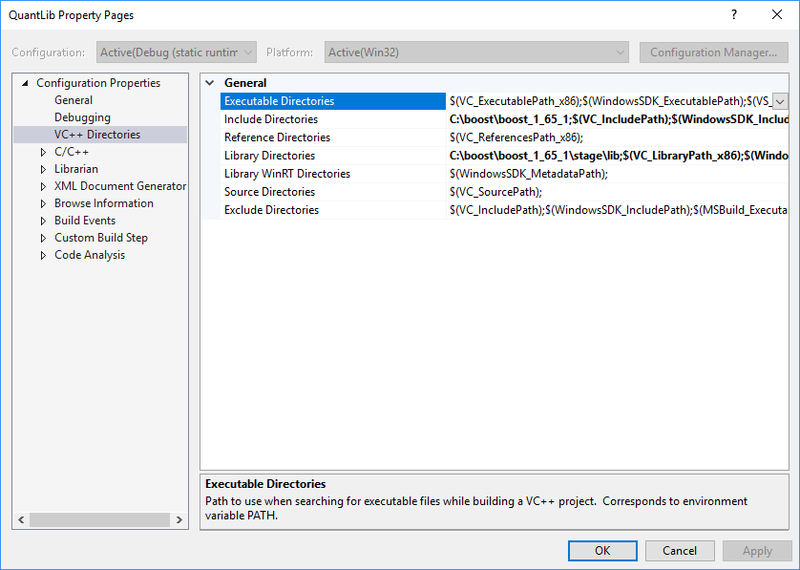 # error "unsupported Microsoft compiler"
#endif and replace # error "unknown Microsoft compiler" with # define XLSDK_LIB_TOOLSET "vc120" (you may try to set "vc140", which corresponds to Visual Studio 2017 but since "12" is embedded in some target names in project solution, you'd better stay by "vc120"). Likely, there will still be some errors at linking stage due to new Visual Studio. Then carefully check Target Name by all projects in Question (C++ linker will tell you which name it expects, so just put it in Target Name). I think the linking problems you mention at the end of you post are due to a mismatch in the output library names (of the sub projects) vs what is expected by QLXL as an input. This is because some, but not all, of the subprojects’ target file names are hard coded. 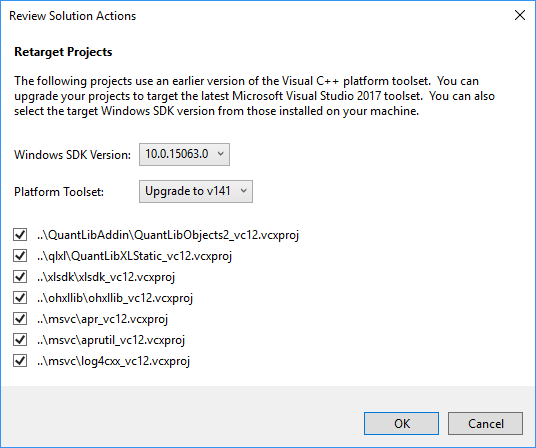 The QuantLib project (not the top project) works because it defines a VisualStudio macro = $(qlCompilerTag) (in a html “like” file called QuantLib.props) which changes depending on the version of VC. Previous Previous post: Should I use a Trading Simulator to learn how to trade?